SORRY, WE'VE SOLD OUT OF THIS ITEM. 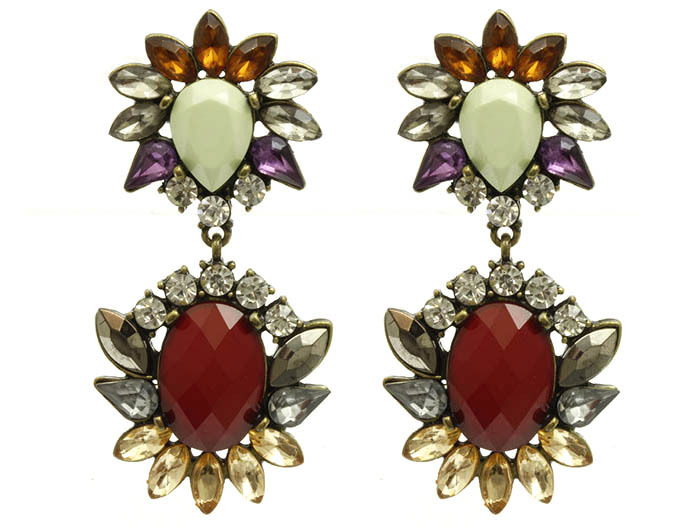 Outspoken and ultra-fem, the Ada earrings are not for the wallflower. A double-drop of varying bursts of beads and crystals in a celebration of wild, polychromatic colour centreing around a blood red faceted-cabochon. Perfect for taking your look beyond chic. Grab your favorite fashion accessory whilst online jewellery shopping with us.